This entry was posted on April 2, 2012 by joeleagle. 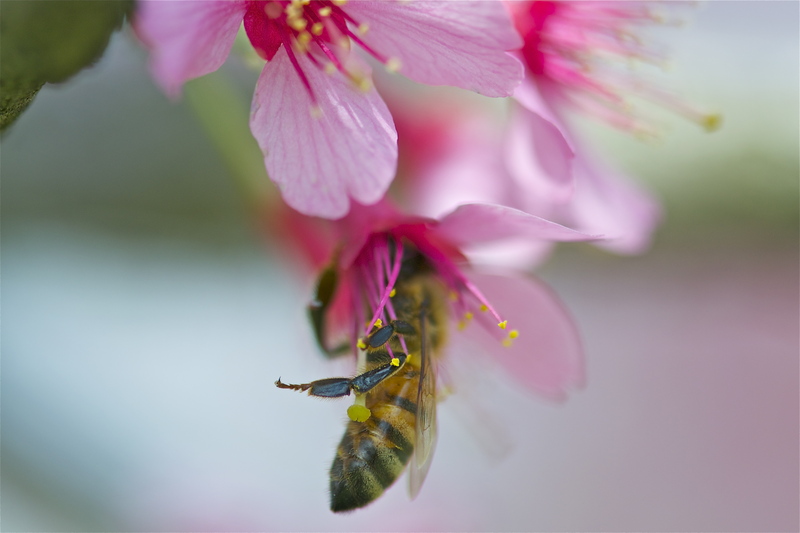 It was filed under Flowers, Insects, Trees and was tagged with Bee, Cherry Blossom, Honey Bee. Amazing! What a gift you have! Thank you so much Catlady! So glad you enjoy my work! Peek-a-boo-bee. I LOVE that you got him with his head buried in his little pot o’ gold.